Lost My Name developed a unique brand out of unique literary experiences. It's a question more difficult to answer today than perhaps ever before, especially considering the capabilities of mobile and digital, and the ever-evolving field of AI and VR. How do you sell a book in today's inundated landscape? This is the challenge Lost My Name seemed intent on conquering in 2016. In November 2012, co-founder and CEO Asi Sharabi and three partners started Lost My Name based on dissatisfaction with the existing and antiquated personalized kids book market, which they perceived as a mix of poor quality and "gimmicky" products. The first product released was The Little Boy/Girl Who Lost His/Her Name, which used unique data to provide a unique experience based on the child's name. 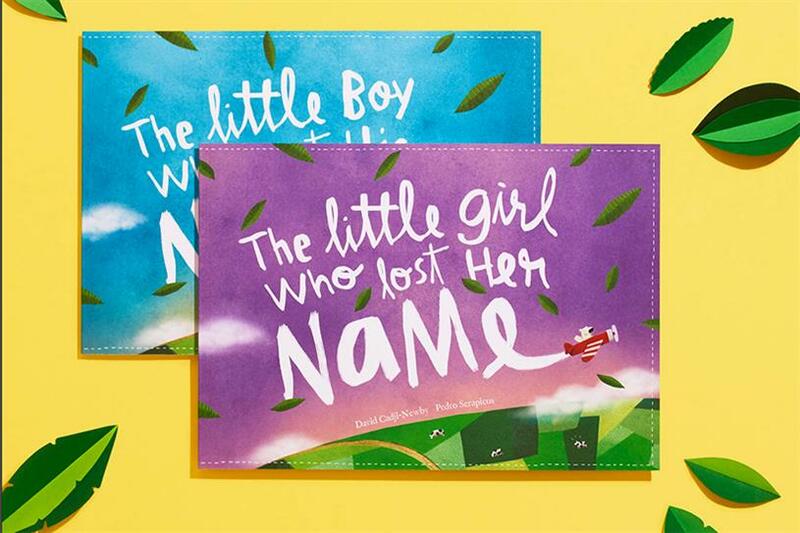 "We have hundreds of assets in our database and based on the child's name and whether they are a boy or a girl, we create a unique story for every name," says Anne Thouas, head of awareness marketing at Lost My Name. It sold well, very well, in fact, with 22,000 books purchased in the very first month and more than 600,000 copies to date in over 135 countries, many through Facebook. The following April it raised $639,000 led by Forward Partners at a $3 million valuation. An appearance on the BBC TV show Dragon's Den led to further investment from Piers Linney, who invested $128,000 for 4 percent equity. Flush with capital, Lost My Name was determined to enhance its social media sales process. In August 2016, Lost My Name decided to use Smartly.io, a Facebook ad optimization solution for agencies and performance marketers, to launch a two-week long test to cut its advertising costs on the social media service. The greatest challenge, according to Thouas, however, was buy-in to start using a source code analyzer, or PMD, as "we managed Facebook internally so we had no previous agency or other fees associated with the channel." "Once we agreed to only move forward with Smartly if we could demonstrate that we would be more cost efficient though, the only challenge left was proving that a machine algorithm was better than a human," says Thouas. As it turns out, the machine won. The test proved not only to help in reducing the cost per orders (16.59 percent lower), but also developed a streamlined service for the company as a whole. "After testing, we not only found that Smartly features such as Predictive Budget Allocation & Ad Rotation improved our CPO's, the tool also automates a ton of steps for the team, meaning my team could be 50 percent smaller year over year while actually managing more countries & campaigns than ever before," says Thouas. The success of the study, which was primarily focused on the US customer acquisition campaign, propelled the company to continue usage of Smartly for the US, and every country and every campaign, from customer acquisition to retention marketing. "My team can now focus more of their energy on identifying new audiences, briefing in new creatives, and in general more forward looking initiatives and tests versus manual daily optimizations," says Thouas.